I decided to create another Chrome theme again. This time it features Yomi from the anime, Ga-Rei: Zero. 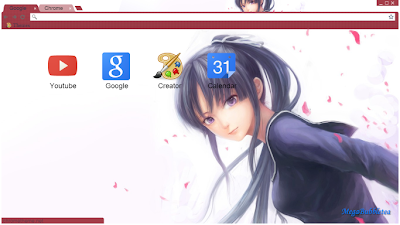 The theme contains a nice dark red toolbar and a fabulous picture of Yomi as the background. Fans of Ga-Rei: Zero will enjoy this theme.